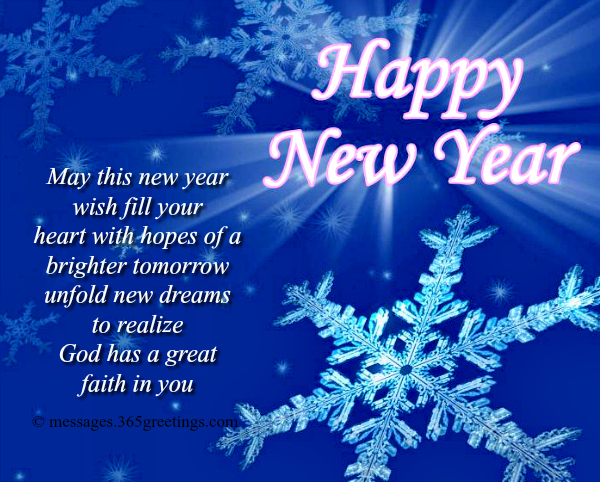 Share the blessing of New Year with Christian New year messages that your family and friends can ponder. Let Christ be the center of the celebration of another year. You may include some of these New Year greetings on a greeting card or gift tag, or share them on your social media account like Facebook, Twitter or Instagram as your status. Spread the word and share motivation. the New Year with your head up. to start another year without fear. another year under His guidance. of this New Year with a prayer. Do not be afraid to face life. This New Year has a lot of promises for us. Trust God and everything will be fine. Do not bring with you the memories of the past. Let them serve as your guide to keep moving on your journey. so that we will not stumble when things go bad. What we have here are some of the best and inspiring Christian new year wishes that will definitely motivate and encourage your loved ones and friends to face another year with a heart filled with hope, love and peace. that there is still a chance for you to change for the better. This New Year must be celebrated and lived happily. Give this celebration an understanding of its value. who follows the path that God has prepared for him. Have a meaningful New Year! See to it that each day, feed your soul with God’s Word. That way, you will not feel the hunger. Stay full with God’s love. Life is not life without God by our side. He is the reason why we are alive. Offer your prayer of thanks this New Year! Whatever it is that pulls you down, pray that you will be able to endure and withstand. God loves you so you have to fight. Start the New Year with God by your side. Go ahead and enjoy life. so you will be able to say that you have lived your life to the fullest. He will give you everything, too! more hope and reasons to live happily! 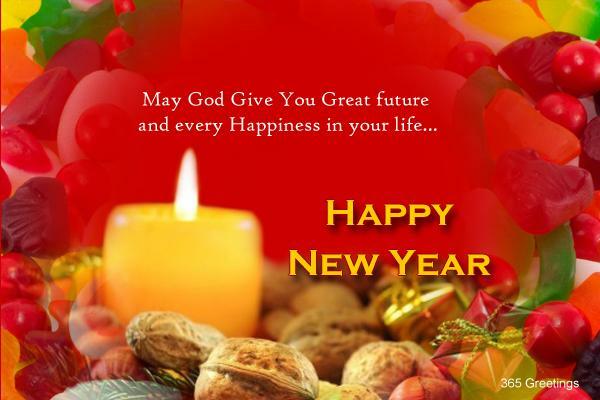 with prosperity, good health and happiness in New Year. to stay safe from any wrongdoings. and prevents you from ailments this year. for success, happiness and good luck this New Year. from any mishaps by God’s grace this year. in your career and resolve all conflicts this year. with a rewarding job this year. his love and blessings for success in your exams this year. blesses you for a rewarding conjugal life this year. to find a suitable life partner this year. with blessing of Almighty this year. from any natural disasters this year. to take every problem head on and emerge unscathed. to deal with all situations this New Year. of merriment and celebration this year. with family and friends this New Year. and everything that comes your way. as the year makes a fresh start. and how humanely you are living. 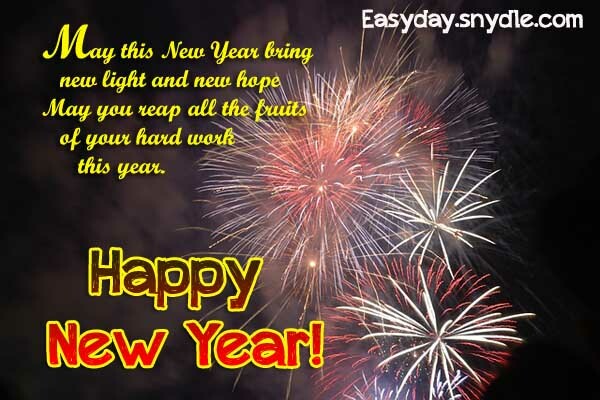 Even some quotations can serve the purpose of wishing a Happy New Year to your dear and near ones.